The third youngest state of the Indian Union, Mizoram is perched on the high hills of the north eastern corner of India, and Mizoram tour also brings you close to Bangladesh on the west, and Myanmar on the east and south. Mizoram has the most variegated hilly terrain in the eastern India. The hills are steep, and separated by rivers flowing either to the north or south, creating deep gorges between the hill ranges. 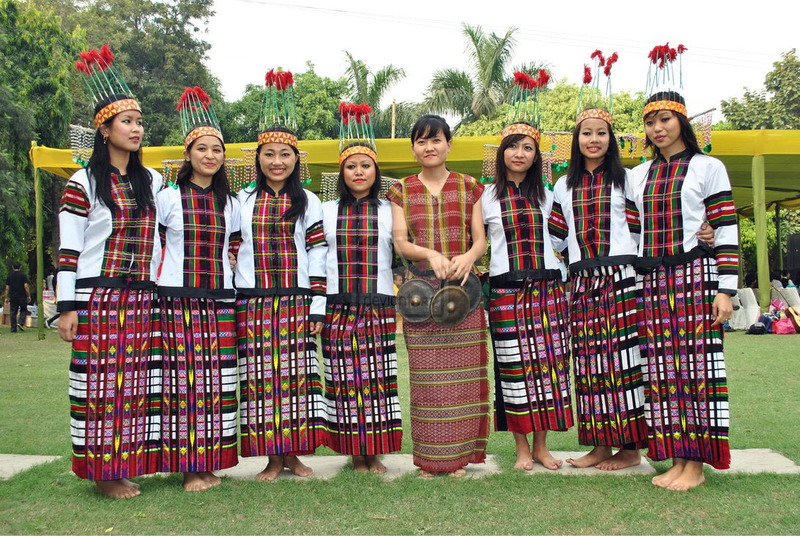 Mizoram is the land of Mizos or highlanders. The Mizos are divided into several tribes- the Lushais, Pawis, Paithes, Raltes, Pang, Himars, Kukis etc. Mizos, the people of Mizoram, are primarily, cultivators. Almost all festivals of Mizoram are connected with agricultural activities. Mizoram has a high literacy rate of 87%, surpassed only by the state of Kerala. The Mizo culture boasts a plethora of folk and community dances that get passed down over the generations. Concerted efforts have been made to accelerate the growth of industries in Mizoram. Crafts of Mizoram have got their own identity. One has to see them to believe the intricate traditional designs woven by the Mizo women, born weavers who produce what can only be described as art on their looms. These designs have become deeply rooted in their tribal consciousness and have become part of the heritage of the Mizos. The traditional craft of Mizos can also be seen in their exquisite cane and bamboo work – where both utifitarian and decorative pieces find pride of place. Climate : The climate is pleasant, generally cool in summer, and not very cold in winter. It rains heavily from May to September. A major must buy for every tourist visiting Mizoram, is the Khumbeu ceremonial bamboo hat, made of waterproof wild Hnathial leaves. Bara Bazaar is the main shopping centre of Aizawl, where all handicraft and handloom items are available. A visit to the State Govt. and Handloom Emporium is advisable. The other shopping centres are New market, Ritz Market, Bazar Bungkawn, Thakthing Bazar, Burma Lane and Solomon Cave. There are two flights, ie IC and Deccan Air. Silchar, at a distance of 180 kms from Aizawl (capital of Mizoram) is the nearest railhead . Buses run by the Mizoram State Transport plying regularly between Silchar and Aizawl. Note: For entry into Mizoram, people other than Government employees, should obtain the Inner Line pass from the Liaison Officer, Government of Mizoram, at Silchar or Calcutta.